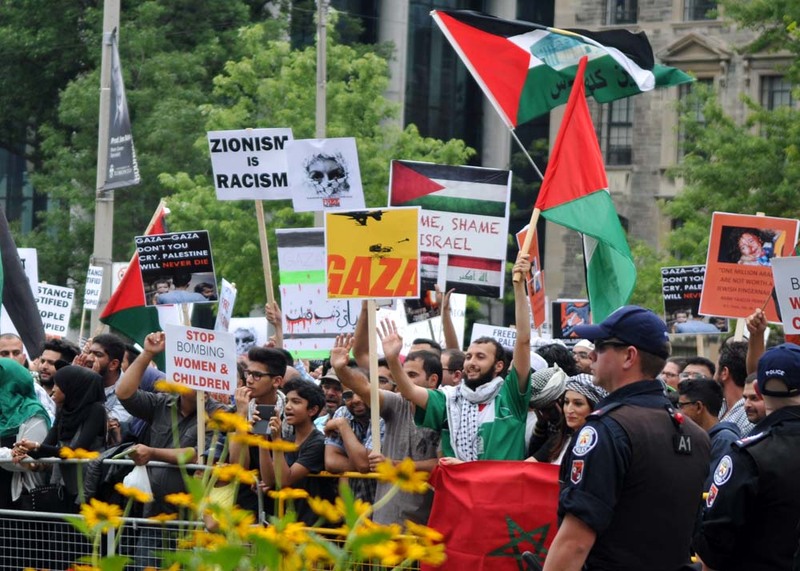 A peaceful day of screaming ended around 5 pm as the thousands of protesters waved their favourite team flags and signs that called on the end of violence by both sides. 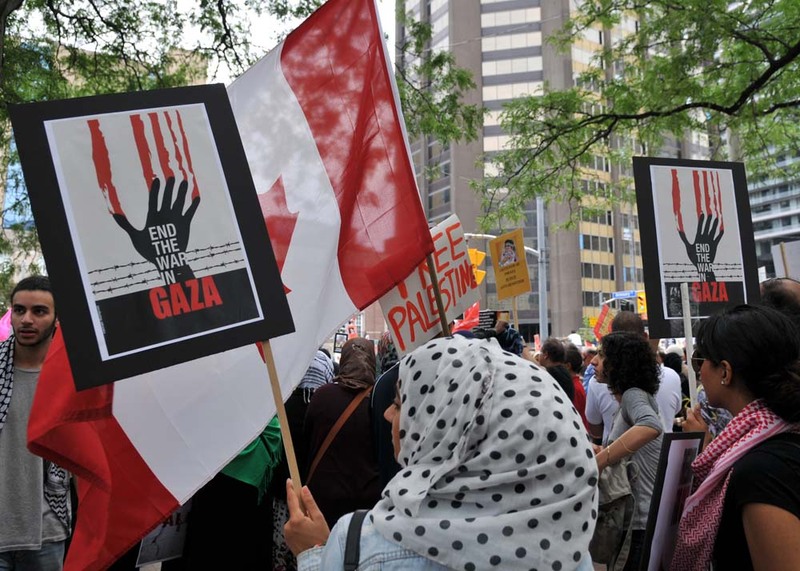 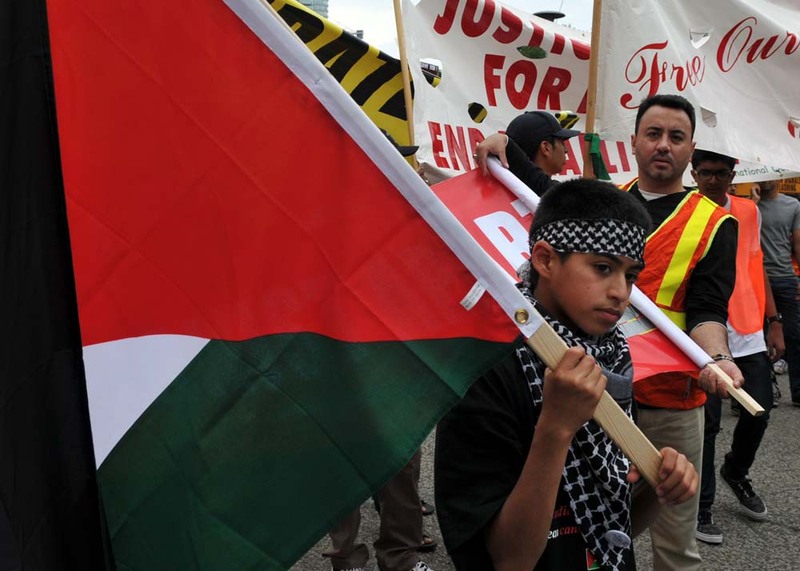 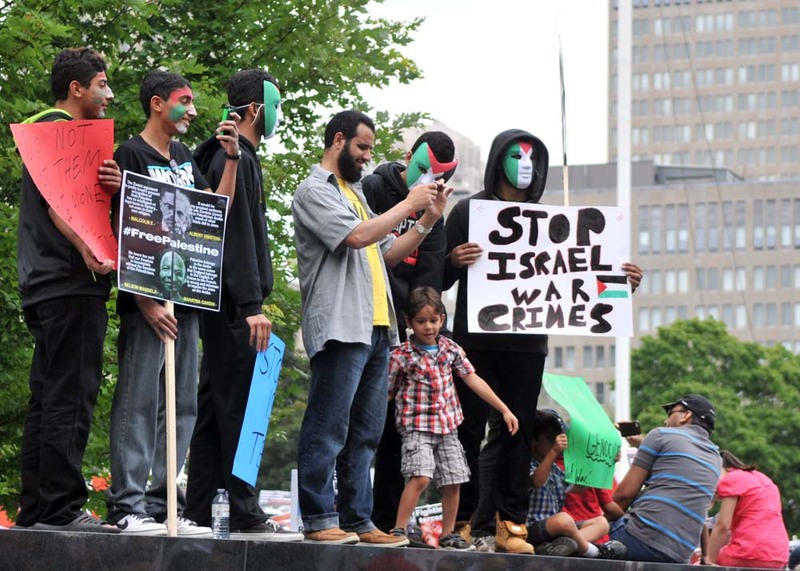 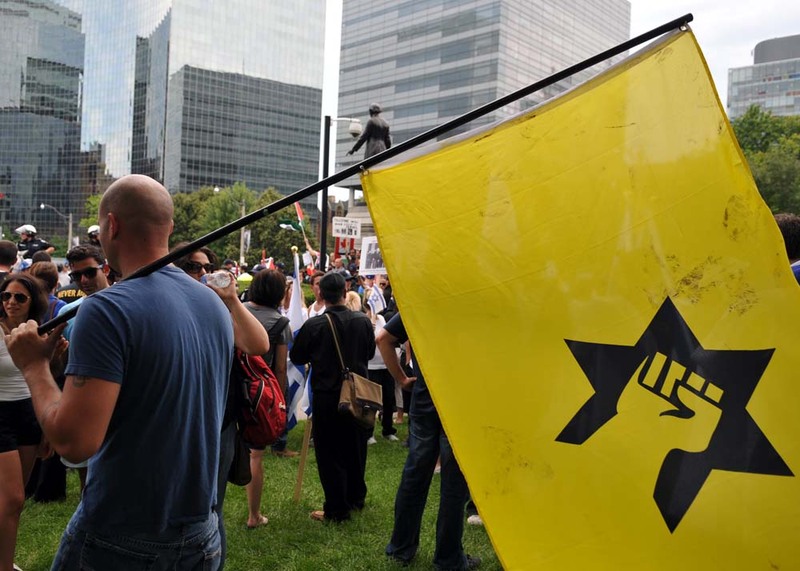 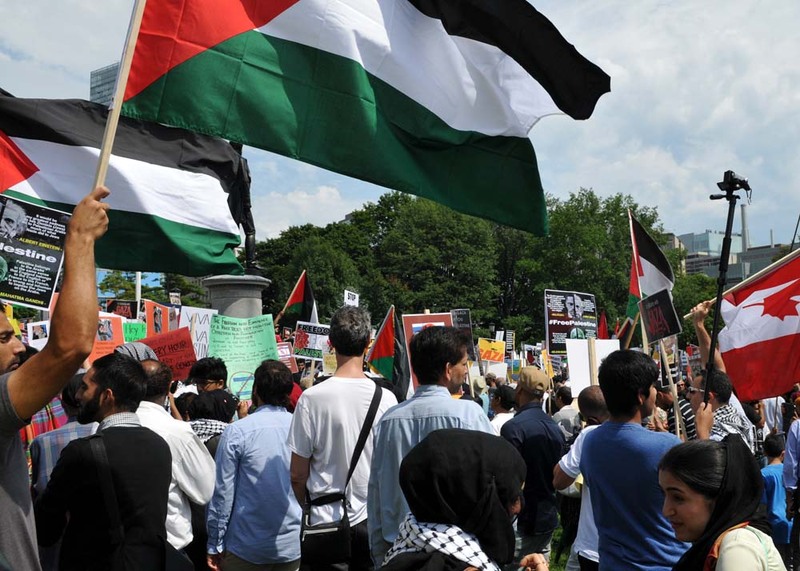 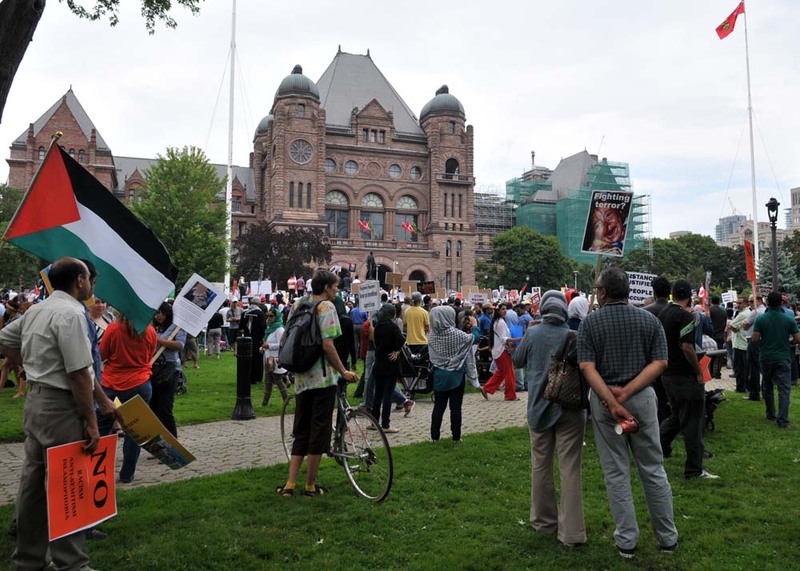 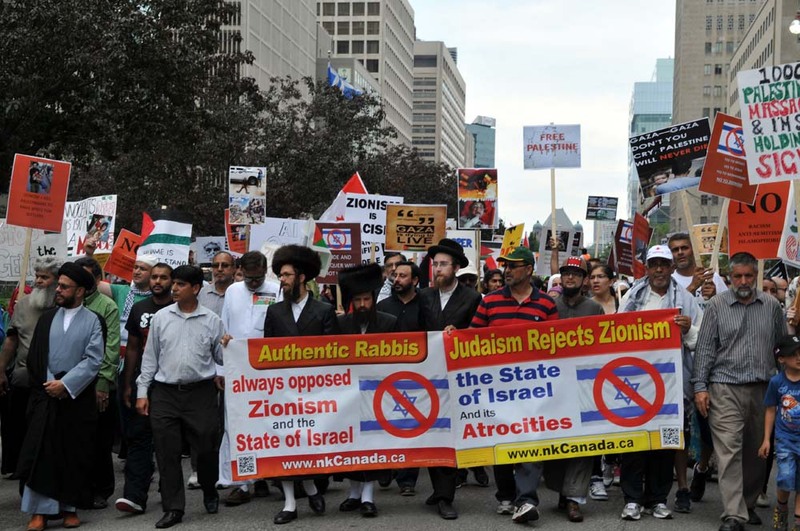 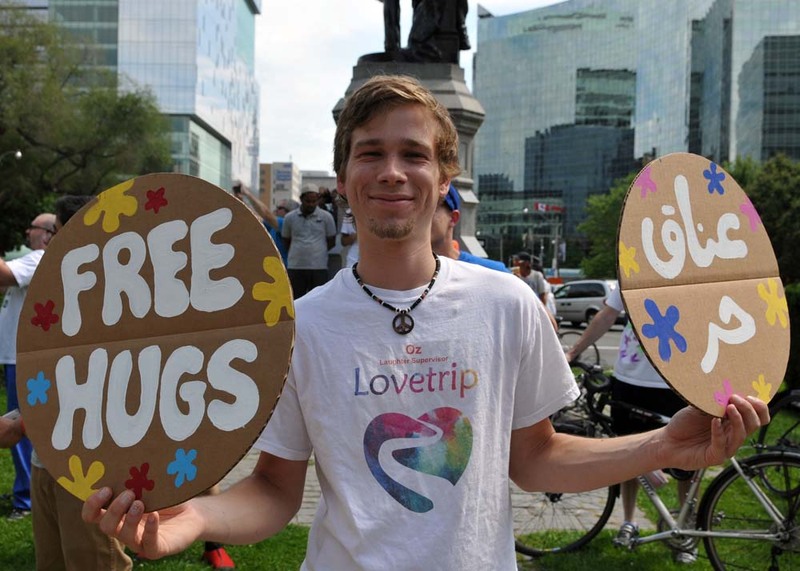 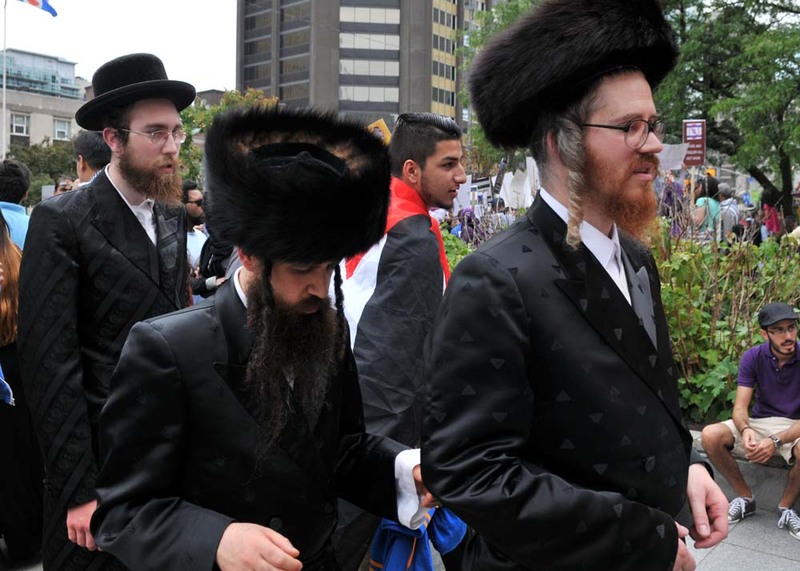 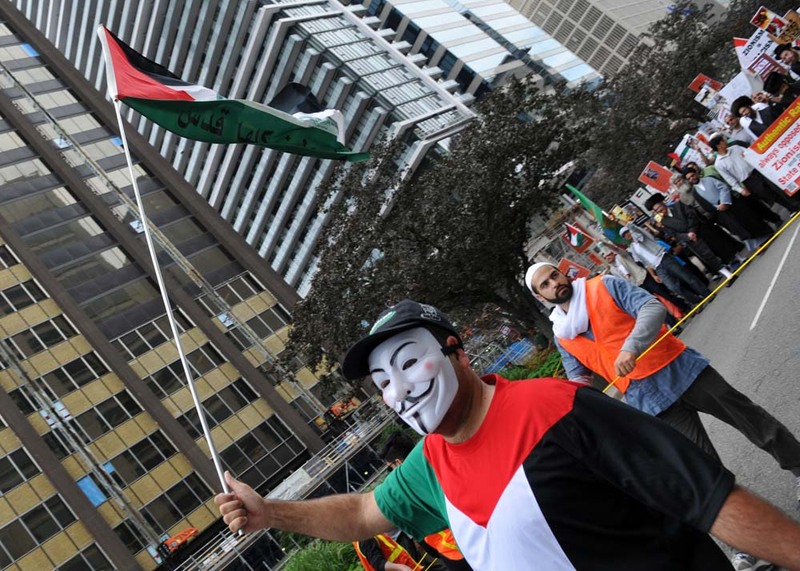 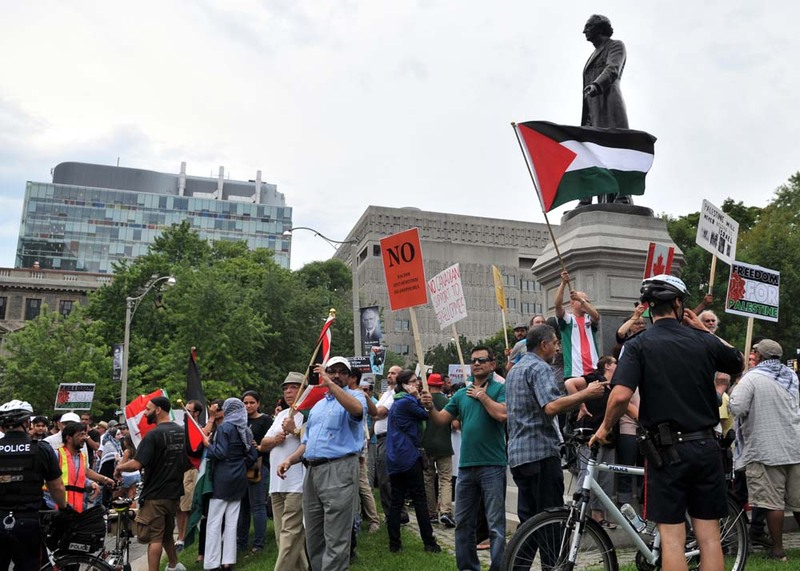 Neither side admitted the other was correct and the protest march that started on the front lawn of Queens' Park ended at the American Consulate. 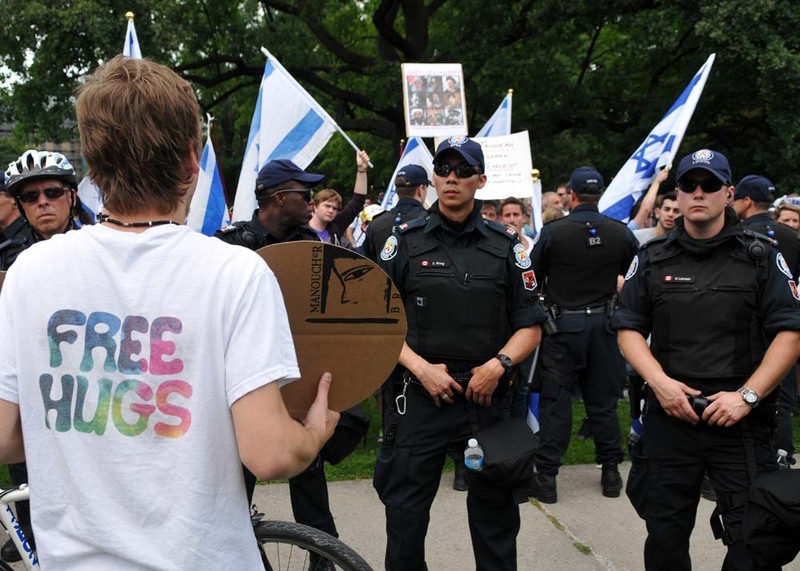 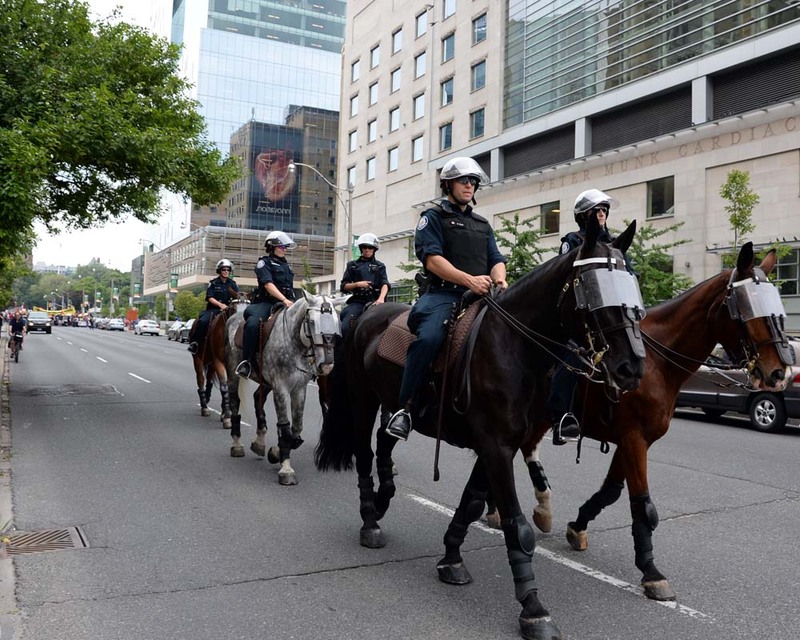 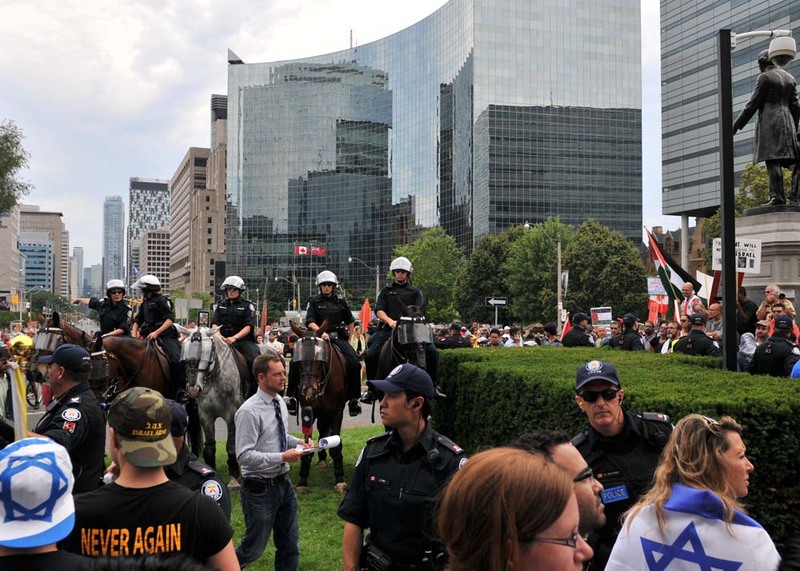 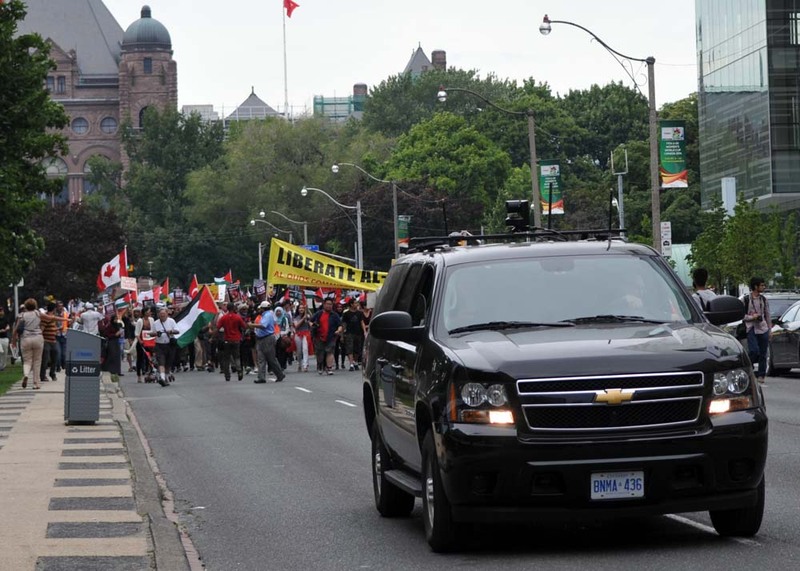 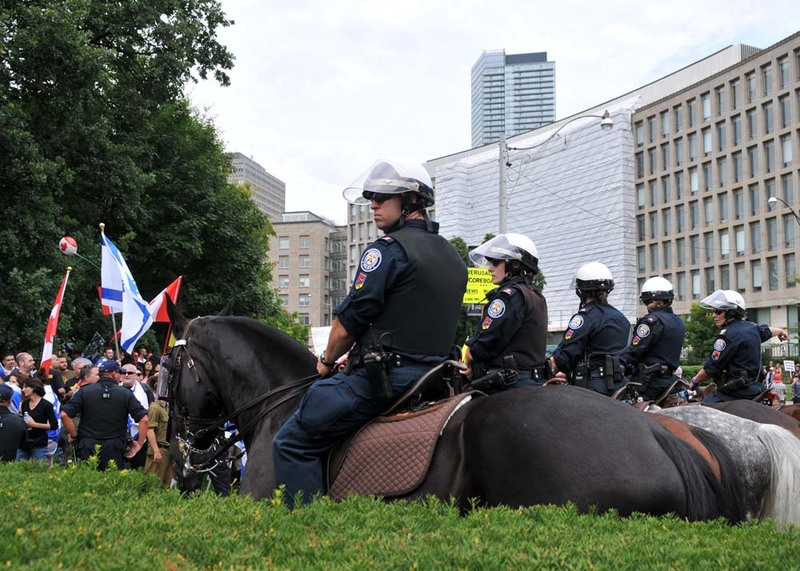 Metro Toronto police were extremely nice during the noisy Saturday, July 26, 2014 Quds Day Rally and several horse police joined with bicycle, foot police and police looking EMS services to help guide the people south on the northbound lanes of University Avenue. 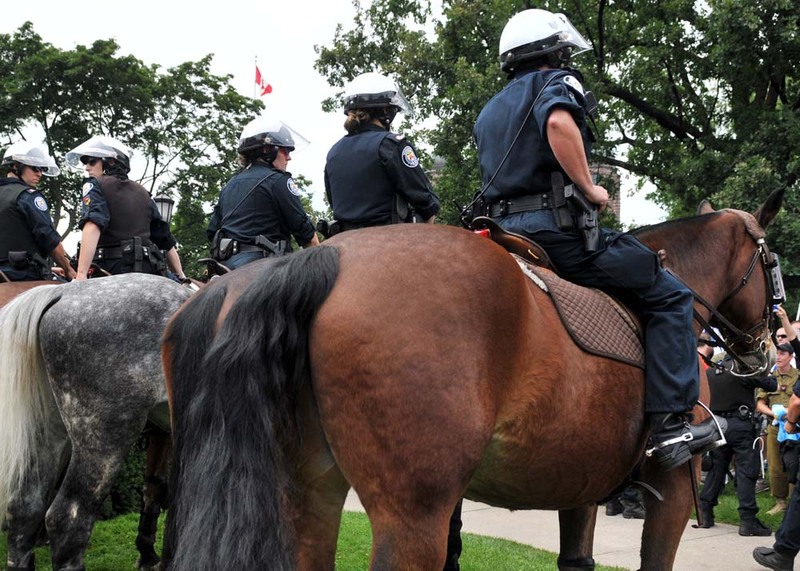 Behind the pooping horses followed the alleged black unmarked police SUV with their video taping turret mounted on the roof.